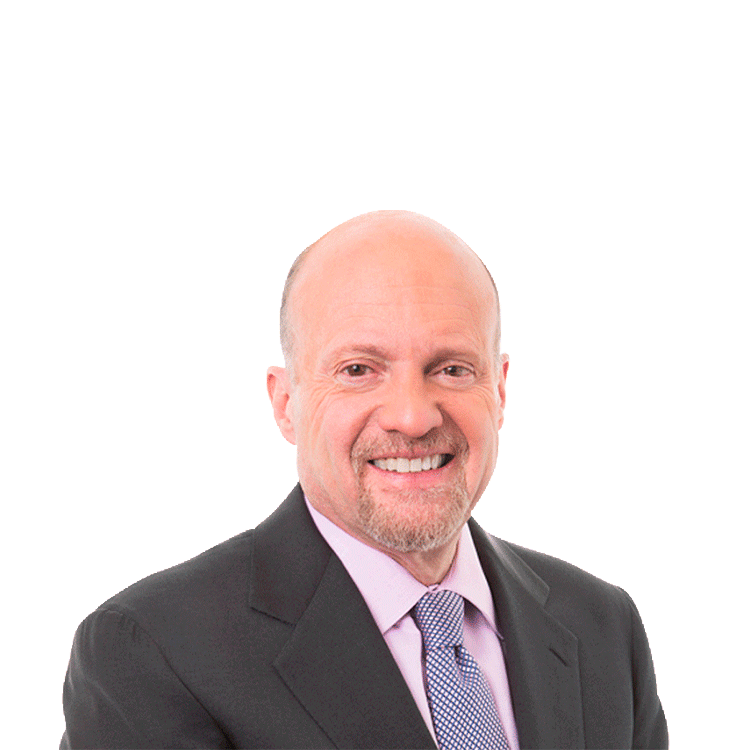 NEW YORK (Real Money) -- Jim Cramer shares his views every day on RealMoney. Click here for a real-time look at his insights and musings. It's not insanity. I am talking about these biotech moves we are seeing of late, including today's amazing run in the newly public Axovant (AXON. It's not insane because, for whatever reason, the older-line pharmaceutical companies seem congenitally incapable of developing huge drugs, while these new companies seem to do it as a matter of course. Just think about this week. Now, you may believe Regeneron (REGN - Get Report) had a "bad" panel discussion about its new anti-cholesterol formulation and that's why the stock's down from $540 to $500. But the fact is, this drug stands a tremendous chance to be worth multiple billions of dollars because the test results prove pretty conclusively that this different approach Regeneron is trying could be the way to augment current statins to do better and help people who can't tolerate the current statins to get that cholesterol down. Yes, there were some people on the panel who questioned how broadly the drug should be taken, but it was approved by a 13-3 vote and there is little to no doubt that this drug will be on the market fairly shortly. Sure, there is a competitive drug. It's made by Amgen (AMGN - Get Report). I say may the best biotech man win. Let's not, however, lose the forest through the trees. Pfizer (PFE - Get Report) has the greatest-selling statin of all time, Lipitor. But it's not the one that has come up with the alternative. Merck (MRK - Get Report) invented the class of statins, but it isn't the one either. No, it's little Regeneron in the lead and, when you think of it like that, you know the biotech move isn't insane. How about Gilead (GILD - Get Report)? Remember when that company's stock did nothing for months as people fretted about whether health maintenance organizations and pharmacy benefit managers would squeeze its margins because it was charging too much for its hepatitis C cure? That they would send more business to the somewhat inferior AbbVie's (ABBV - Get Report) formulation? In the last month and a half, this stock has gone from $100 to $119 because the drug's too good for these managers not to offer and because Gilead's cash is stockpiling to the point where it can do a transformative acquisition. Or I should say, another transformative acquisition, because in reality, the reason why it is in a position to do a big deal, why it has all that cash, is that it was willing to pay $11 billion for a money-losing company called Pharmasset, which the scientists at Gilead correctly gauged has a real winner. Gilead paid an 89% premium for the stock from the day before, a bid so pre-emptive that no old-line pharma company even dared to take an interest. And it was willing to take a 9% hit to its stock, another thing that no big-dog pharma would normally be willing to do. I say normally because AbbVie, desperate to replace soon-to-be-lost revenues from another incredible drug, Humira, was willing to pay $21 billion for Pharmacyclics (PCYC in cash and stock. That did knock AbbVie's stock back big, but it has since recovered and now exceeds where it was because investors are beginning to understand the value of the biotech that AbbVie bought, even though most people had never heard of it until about a year before the bid. This is the same reason why Receptos (RCPT is up so huge this week. We have been hearing rumors all week that both Teva (TEVA - Get Report) and AstraZeneca (AZN - Get Report) want Receptos. Why not? It has a pipeline of formulations that could work against ulcerative colitis, MS and Crohn's disease. That's $10 billion worth of drugs easily for, say, $8 billion, which might be enough to get the $6 billion Receptos after this run. I feel the same way about Radius Health (RDUS - Get Report) and Alder Biopharmaceuticals (ALDR for bone density and migraines. Given the paucity of drugs that the old pharma companies have, I wonder how these two can even stay public to where they can develop what very well could be the next Pharmasset, Regeneron or Pharmacyclics. In other words, not only are these gains not insane. They are the definition of sanity. That's why I keep featuring them and writing about them and talking about them. They are the answer for the stale old companies with good balance sheets but little to no growth and seemingly fallow research labs. Therefore they -- or at least one of them -- should be your answer, too. At the time of publication, Action Alerts PLUS, which Cramer co-manages as a charitable trust, had no positions in the stocks mentioned. You know what's maddening about this market? The radical inconsistency that we see every single day in the retail stocks. Take today. One of the best stories out there had been Burlington Stores (BURL - Get Report), which has shown consistently positive comparable store sales ever since it came "re-public,"so to speak, after private equity fixed it up. Before private equity got involved you never knew how this company would do and if the winter wasn't cold enough than the Burlington Coat Factory, as it was called, broke your heart with bad numbers. Here we just came through a very cold winter and Burlington reports and it shows a pretty dramatic deceleration in its comparable store sales growth, going from 2.7% to 0.8%. Burlington had been a terrific star since its IPO two years ago. Suddenly it's a burnout. Then there's Five Below (FIVE - Get Report). I do not have enough fingers to count how many times this retail has caused consternation, if not tears. One look at the chart shows how many occurrences where Five Below went higher going into a quarter only to have all hopes dashed by shockingly inferior numbers. But this time around it posted a sensational quarter, amazing given how low the stock was as people had just given up on the darned thing. Apparently they gave up at the bottom. Urban Outfitters (URBN - Get Report) had been riding one of the best streaks in all of retail going into its last quarter. While there had never been problems at Free People for the longest time Anthropologie and the flagship Urban had failed to meet expectations. Then last year Anthropologie fell into place with some really amazing numbers. Soon after the flagship did the same. You finally had all cylinders firing and the company was crowing about it, hence the run-up from $30 to $47 from December until March -- when it lowered the boom and crushed everyone with a severe disappointment at the thought-to-be-red-hot Anthropologie. Ugh. Forty-seven goes to $34. It's trying to stabilize at the $35 level but do you trust it? Then there's the heavily shorted lululemon (LULU - Get Report), which has had a history of guiding down pretty consistently, almost like clockwork. It reports today, though, and suddenly it's nothing but net, a Stephen Curry three-pointer, swoosh! Oops, Swoosh is Nike (NKE - Get Report), he wears Under Armour (UA - Get Report). Still speaking of the swoosh, I found myself asking, after so many weak quarters, "Is this when Nike steps up and buys Lulu before its shares roar higher after what could be a major turn? Or is it a one-off good quarter and back to the baffling days past?" Then there was the greatest department store turn in ages, the rebirth of the once-fabulous growth story Kohl's (KSS - Get Report), which drove its stock from $56 in December of last year to $79 in April only to tell us, after that climb, that things aren't as good as they thought. Holy cow, that's been a one-way trip to $62. But PVH (PVH - Get Report), which had put up quarter after quarter of disappointment, to the point where it had given up all of the beautiful gains it put on when it purchased Warnaco three years ago, out of nowhere reports stellar international numbers from Calvin Klein, the label that came with Warnaco, and it's lights out: 15 straight points up. I am telling you it's so inconsistent as to make you crazy, which is saying something coming from this madman. Sure some chains are like clockwork. Sears (SHLD tries to put real estate investment trust (REIT) lipstick on the pig that is that chain. Nobody's buying that. J.C. Penney (JCP - Get Report) is still struggling to turn around. Wal-Mart's (WMT - Get Report) stock is down 15% for the year and it looks like there's no respite even as that 2.7% yield looks tempting. But Costco (COST has put up consistently good numbers during this period and it's being beaten to death from $154 down to $138. It's enough to say, hold it, crap shoot, look elsewhere. Unless you have a special situation, like a nascent turn at Target (TGT - Get Report) being engineered by CEO Brian Cornell, (owned by my charitable trust, Action Alerts PLUS) or a long-term secular growth story like the drugstores, I totally get that you would want to flee the group. I say stick with something that's got an edge, or look elsewhere. Sometimes you have to own it: retail's just gotten too hard to profit from. What a shame. At the time of publication, Action Alerts PLUS, which Cramer co-manages as a charitable trust, was long TGT.